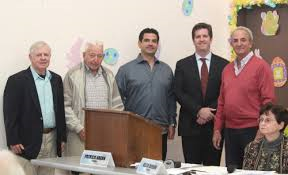 The La Jolla Community Planning Association, which makes recommendations to the City of San Diego on local community matters, including protecting the integrity of the La Jolla Community Plan, is starting its search for 2015 board members early, based on the recent challenge to their 2014 election, to reach a more diverse community base – and it asks fair and impartial candidates to consider stepping up and running for a seat. Candidates are need for the at least seven available positions, to be elected Thursday, March 6, eligible candidates must be associated with the community as a resident, property owner or local business owner and have attended at least three association meetings between March of 2014 and February of 2015. This is a great way influence the current direction of our LJCPA and to help protect individual property rights in our community. It is not easy work, but it is very rewarding and our community now more than ever needs new leadership and independent Trustees on our community group.